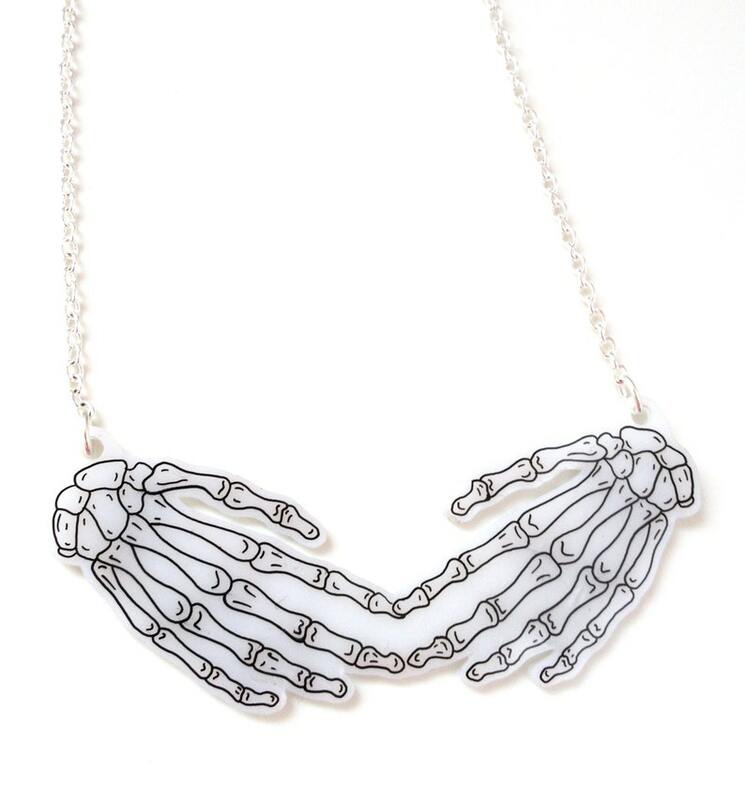 These skeletal hands will just gently lay around your neck, as if a skeleton was hugging you from behind, protectively. An anatomically correct drawing of the bone structure of two human hands. Just like your own fingers, these will break if you bend them too far the wrong way! So don't do it! Approx 8cm wide, however as each piece is hand made and drawn just for you, sizes may vary very slightly. Your hands will be suspended in the middle of a 16" trace chain, with a 2" extension chain. Please choose from gold plated or silver plated in the options.